Joe Biden got a lot of negative attention in the New York press after he advised New Yorkers to stay out of subways, airplanes and other closed spaces. There was considerable concern about the damage that could ensue if his advice were to be followed. Lost tourism and shopping dollars have economic repercussions. The subway is a lifeline to New Yorkers. A large percentage of shopping trips begin and end with a subway ride. Even our mayor, Mike Bloomberg gives the subway a vote of confidence with daily rides. Life is a dialogue with the environment Every moment we are building immunity to the billions of microbes and viruses that teem in every cubic metre of our atmosphere.When someone loses their immunity we see all of the diseases we routinely avoid.AIDS patients, for instance have fallen victim to a virus that is transmitted through pigeon droppings. I favour a two prong strategy of regular exposure to normal environments along with a regimen of proper sleep and diet. There are regional variations to the immunity pool that is built up regularly. I have over the years gotten anecdotal confirmation of this hypothesis. I live in a neighbourhood that receives a large influx of visitors every year in the month of Rosh HaShannah, the Jewish New Year. Hebrew, French, Italian and Russian crowd out English and Yiddish during that time as the lingua franca on the street. Most years, I get a serious cold around that time, presumably because of some virus with which my immunity system is unfamiliar. I actually welcome the boost to my immunity system. This is a part of the dialogue my system has with the environment. In the 1950's, polio was striking fear in people's hearts. It was found that the fastidious hygiene of wealthy homes afforded little protection. Often, congested urban neighbourhoods had lower rates of polio infection. It is far more difficult to destroy viruses. They stand at the border between life and the inanimate. They do not reproduce through splitting as does bacteria but by hijacking living organisms and getting them to produce more viruses. They are far smaller than conventional microorganisms as well. I question whether all is known about how the Mexican flu travels. I fully expect it to mutate as it travels, thereby rendering any facts we might collect about it obsolete as soon as they are published. There is a normal level of hygiene that should be maintained in the home and on the streets. Even within such common sense parameters, we will continue to share our environment with a whole world of microorganisms. Most of the time, there will be a general detente with the per capita level of illness remaining at unremarkable levels. Sometimes there will be spikes, such as the one now being experienced in Mexico. Even if it is the same virus in American cases of the Mexican flu, the backdrop is different. In poor parts of Africa, routine illnesses such as diarrhea and sore throats that are shrugged off by Americans prove fatal to malnourished African children. We would do well to be more concerned with the respective levels of public health in Mexico and the US. 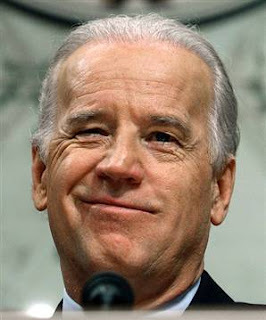 Biden was roundly condemned for his alarmist "shoot from the lip" comments in the New York media and street conversation. His resume as a five star doofus has gotten a bit longer. His entertainment value has increased as well. Refraining from normal business due to health fears that remain minuscule on a per capita level is absurd. Children who are kept home from school will not stay put. Three things will happen if children are kept home from school. First, the Neilsen ratings for daytime television will go up. Secondly, the sales in malls will go up, exposing children to the collective breathing spaces so dreaded by our Vice President. Finally, teens will be home alone with parents at work. With negligible gains in interdicting virus transmission, there will instead be a temporary spike in teen pregnancies. I expect Biden to do some back pedalling after the negative reception of his remarks. He may well advocate a stricter version of Shaaria (Islamic law) in which both men and women cover their faces. Perhaps Biden could stimulate the Afghan economy by creating a market for burqas. It might even become the newest fashion trend. I can see it now. Women's burqas in all colours. Special manly designs of face covering could be ordered from the Tuareg people of North Africa, a group whose men often cover their faces. I can see it now as a new health and fashion trend driven by a Biden inspired panic sweeps the nation. New businesses will step in and stimulate the economy such as Burqawitz Dry Goods. Old songs will take on new meanings and go platinum in the stores such as "I've Only Got Eyes For You" Old movies such as "Saturday Night Fever will be redone to show kids in polyester disco shirts home with the flu. With a little bit of well managed alarmism and Madison Avenue packaging, our economy might well recover with help from Joe Biden. Thanks Joe! We needed that.